HTC One M8 is the up model of its predecessor HTC One, M8 comes with latest technologies like Inspired Design which have Brushed metal uni-body frame and have natural curves for better grip and dual front facing speakers of HTC Boomsound Technology. HTC One-M8 have HTC built-in Software Android, HTC Sense which is used for Gesture Control, Flip to Mute, Hands-Free Calling and HTC Sense APP`s which includes Calender, Email and Music. If we are talking about Google Play Store HTC One-M8 have Preloaded Google Now, Handouts, Google+, Google Maps and Voice Search from Google lay Store. Available in different Colors: Gunmetal Gray, Glacial Silver, Amber Gold. You can also Read users reviews about HTC One-M(8) Here. Android OS, version 4.4.2 (Kit-Kat) with HTC Sense and HTC BlinkFeed, 5.0 inches screen with 1080 x 1920 pixels full HD 1080 pixel features: Corning Gorilla Glass 3, HTC Sense UI v6 Sensors: Accelerometer, gyro, proximity, compass, Super LCD3 capacitive touchscreen, 16/32 GB built-in, 2 GB RAM, microSD card-support up to 128 GB, Quad-core 2.3 GHz Krait 400, Qualcomm MSM8974AB Snapdragon 801, GPU: Adreno 330, Bluetooth version 4.0 with A2DP, USB, WLAN, DLNA, Wi-Fi hotspot, GPRS, EDGE, 3G (HSDPA, 42 Mbps), 4G (LTE, Cat4, 50 Mbps UL, 150 Mbps DL). 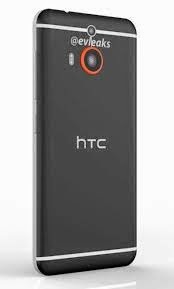 Primary camera: HTC UltraPixel camera , BSI sensor, pixel size 2.0 um, sensor size 1/3-inches, f/2.0, 28 mm lens HTC ImageChip 2 with 1080 pixel Full HD video recording with HDR video and Secondary camera only capture depth information. Front Camera: 5 Mega-Pixel, BSI sensor, wide angle lens with HDR capability, 1080 pixel Full HD video recording Gallery with UFocus, Dimension Plus, Seasons, Foregrounder, Image match. Google Drive with 50 GB storage, FM Radio, GPS + A-GPS support and GLONASS, Active noise cancellation with dedicated mic, Maps, Gmail, YouTube, Calendar, Speakerphone.